Copyright: The artist gives to Convocatoria RADAR and Associazione Radar, without any compensation, the rights of reproduction, exhibition, publication, translation and communication to the public, in any manner and without exception, for their works and for the texts participating in the selection. Entry fee: 40 euro for one work. Each additional image at 5 euro. 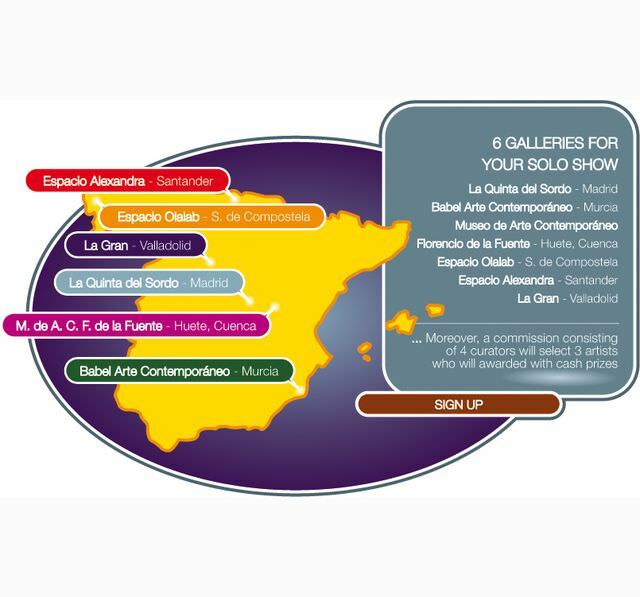 Each of the 6 galleries in jury, located in the most important Spanish areas for contemporary art, will choose one artist to realize a solo show. It is possible to enter an unlimited number of works. Online submission of digital photographs via the website.